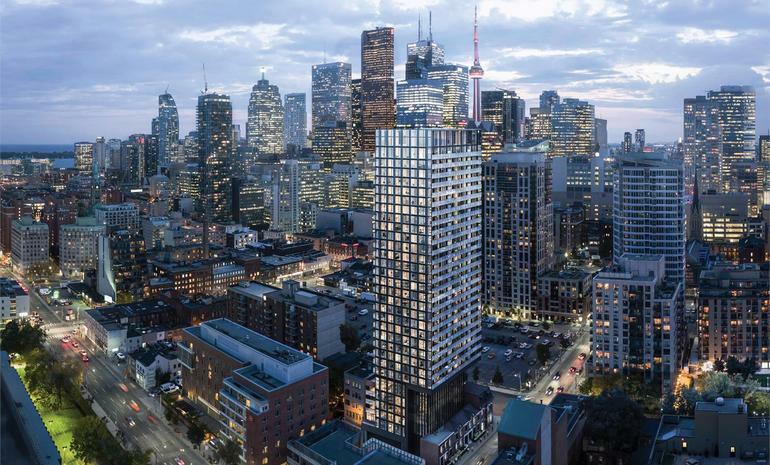 The project has been conceived and developed by two of the pioneers in real estate in the sprawling city of Toronto, the Sher Corporation and the Hyde Park Homes. The project is a spectacular multi- storey high rise apartment block which comprises of one and two bedroom units. The project overlooks the mesmerizing city skyline and the entire district is filled with much needed amenities. One can truly take in the true beauty of the city while staying here. 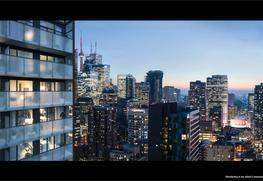 The project is located in the prime location in the heart of Toronto. It comprises of 1 BHK and 2 BHK units. The average size of the units range from 620 sq feet to 959 sq feet. The prices of the condos would only be disclosed on request to the interested buyers. 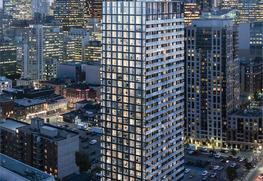 There are going to be 35 storeys of 234 units. The project is expected to be completed by 2018 in the second quarters. There are adequate parking facilities available here and the business hub is just about a few minutes’ walk away. The building is situated in a wonderful location and the compound has a fully equipped gym, a swimming pool and most importantly, the views from the upper floors are simply amazing. The bathroom and kitchen are fixed with the most stylish fixtures and the units enjoy adequate natural light and air. Almost all the units overlook the Bay area or the Swimming pool. There are ample spaces for both car parking and bicycles. 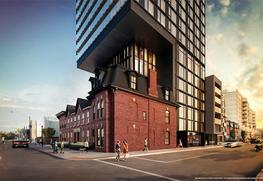 The project is located right in the heart of the city of Toronto and so there is no dearth of public transport at all. The airport and the subway is very easily reachable. One can also get to the universities around Toronto station in less than half an hour. The area also boasts of many fine dining spaces, banks, hospitals, schools and shopping centers, with big brands right at your doorstep. The area also has a very high walking score. Both Sher Corporation and Hyde Park Homes are famous names associated with all major constructions in the city. The two real estate giants aims to provide its residents with high end living and is a very well known name Canada and beyond. Thanks to them, people get a taste of a unique lifestyle opportunity and the residents and visitors have always been enthralled by their eye for detail. The kind of technology they are using for their project is world class and spell binding. They have always made sure that special care is taken as to the conservation of environment when any of their projects are underway and hence most of their projects always include beautiful vistas and lush greenery. The project provides stylish living at most affordable pricing. The project is located right in the heart of Toronto. The project overlooks the main road and the city skyline.